In that video we execute time scheduled jobs on specific days by changing the master schedules that we created in video tutorial number 8. The Munich job should run every Friday. The New York job has to run on the last Friday of the month, and the Tokyo job should only run when Friday falls on a 13th. 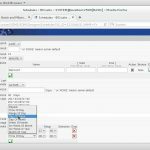 More videos about the BICsuite scheduling system Explore the BICsuite-highlights You have some questions? Please contact us!